Be prepared to contact your legislators now and as soon as the session starts February 1st. Today the Senate Judiciary Committee formally introduced Floyd Prozanski’s LC 250 which we told you about earlier this week. The bill was introduced as a “Committee Bill” which means Prozanski won’t have his name on it. Now is the time to consider whether to continue as a PCP. Attached is the SEL105 form to file with our County Clerk Tassi O’Neil after the first of the month. I’ve also attached a document showing your current PCP assignments. I would prefer to keep the Carnahan, Cloverdale and Union precincts the same. All other precincts are open to your choices. We did have a problem with Joe & Diana Jacob last time in that Diana’s votes couldn’t vote for her as she filed in an adjacent precinct & those folks didn’t recognize her name. We had to appoint Diana to that precinct after the May primary. The one thing that I’d like you to work on is recruiting more women as PCPs. Wendy is retiring this year and without additional women candidates we will only have 2 women on the committee. As you know, we have critical primary and general elections in the near future and we need to act as a team to win. 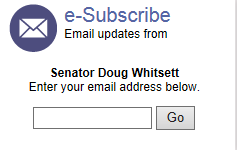 Senator Whitsett from southern Oregon expands on the upcoming anti-gun legislation. The LC Draft requires the Firearm Unit to establish a telephone number or website where the report may be made. Those authorized to make such a report to the Firearms Unit include physicians, health care providers, licensed mental health professionals, K-12 educators and principals, college and university administrators, professors and instructors, the person’s employer or any member of the person’s family. Update On The Most Dangerous Gun Bill Ever. The Soviet style, false accusation bill we told you about Tuesday has been updated. Clearly this draft is being “worked” and almost surely will be introduced in February. A copy of the latest version can be seen here. We have been reliably informed this is actually Floyd Prozanski’s bill, although Ginny Burdick had previously announced her intention to introduce legislation of this type. The vast majority of Conservatives have been disappointed with the direction our country has been moving. If we as Conservatives don’t act to maintain our majorities in the House & Senate AND place a Conservative in the White House, we will continue down the road to a communist/socialist totalitarian state instead of back to the representative republic the founding fathers created. The easiest and the most important way to ensure you are doing your Constitutional duty as a voting citizen, is to become a Precinct Committee Person (PCP). Precinct Committee Persons are the “grassroots” of the Republican Party and the Conservative movement. Becoming a PCP does not cost a dime. You just file the SEL 105 form attached with our County Clerk, Tassi O’Neil between February 1st and March 8th to be included on the May primary ballot. If you would rather be appointed instead of elected, contact me. The following is the must see Conservative event to be at, prior to the Dorchester conference this spring. Western Liberty Network was created by Richard Burke & associates some years ago. Richard is a long time Conservative grassroots trainer here in Oregon. This event is co-sponsored by a variety of organizations including Freedom Works and the Cascade Policy Institute. The next meeting of the Tillamook County Republican Central Committee will be Thursday, January 7th at the Tillamook PUD Building Carl Rawe meeting room (just inside the rear door) located at 1115 Pacific Avenue (Hwy 101 North) in Tillamook. Our guest speaker will address the group at 7:15 PM. The business meeting will start at 8PM. Light refreshments will be provided by the Chair. All Tillamook County citizens are welcome. United States Senate candidate Dan Laschober will be the guest of the Tillamook County Republican Central Committee at their regular meeting January 7th, Thursday evening 7 PM Tillamook PUD Building. Dan Laschober is seeking the 2016 Republican nomination for United States Senator. Dan grew up in southeast Alaska, received his B.S. in finance from Arizona State University, and went on to earn an MBA from Northwestern’s Kellogg Graduate School of Management. A fifteen-year Wilsonville resident, he is a husband and father of two college-aged children, and he is currently self-employed as a software and finance consultant. His diverse professional background includes general contracting, consulting, and he’s held a variety of senior finance roles in a global manufacturing company, including living and working in both Canada and England. Dan is running on a platform of fiscal discipline, real-world experience, and telling voters the truth.